Peace Process, not exactly Peaceful! 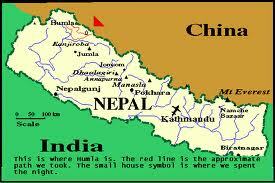 Nepal is a small country between India and China. For the past 10 years and it still continues to suffer from a great Civil war that took place between the government forces (Nepal Army) and the Maoist fighters. 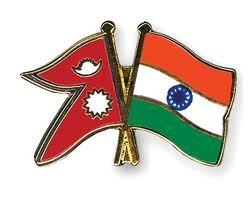 The Civil War started in 1996-2006, by overthrowing of Nepalese Monarchy. (http://the-voyagers.tripod.com/maoists.htm). The Maoist party wanted each individual to have equal freedom and rights as a result this lead to the greatest Civil War till now in Nepal, which is also popularly known as ‘People’s War’. The civil war has ended but the aftermath doesn’t look so bright. Citizens still suffer the same consequences and it keeps me wondering what actually has this achieved by destroying almost all the properties and not to the mention the uncountable number of deaths. The Maoist fought and won the war, but why weren’t they successful in bringing changes to the system even after gaining so much of political power? So with this question in my mind I found an article that really connected with my thoughts which got me to a lot of analyzing part. The Growing fragility of Nepal’s peace process by Joanna Jolly (http://news.bbc.co.uk/2/hi/south_asia/8417031.stm) is a very interesting article; it gives you broad information about the peace process in Nepal. The article talks about Maoist leaders in such a way that I felt that it indirectly tells that the Maoist rule would eventually be unsuccessful. What I agree most about this article was that writer highlights the main problem, it proves that both the parties were responsible for the war. The message is clear to the readers that peace process is something that needs both the parties to agree on. I feel most of the articles tend to ignore this part, as they just focus more on writing well about one party and blame the other one. “Although neither side says it wants a return to conflict, neither is also taking part in the negotiations needed to shore up the peace process”. The article highlights many perspectives of the war in depth. For me the article showed how both the government and the Maoist parties are more interested in properties (the whole land issues) rather than real democracy for people. It is a true fact as all the citizens are in dilemma even the article is raising questions regarding both the parties and their real intention. But the part which made me sad was that the article gave me the image of hopelessness. As I read more I felt that what the writer was saying was true but me as reader didn’t see any hope towards a brighter future of Nepal. As I studied the article I felt that it makes the negative image of the Maoist party to be stronger. She puts a lot of emphasis and quotation on the Maoist groups when it comes down to trust them and their acts, which I would agree with to what I have seen till today. And raising such question highlight’s this article because, this is the same question that is haunting thousands of Nepalese till today. 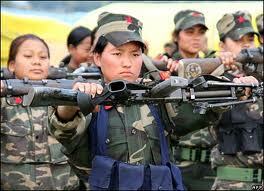 “The main reason is that the Maoists are not sincere. They are not honest in implementing the process,”- Ram Saran Mahat, a member of the Nepali Congress. The article really puts a spot light on the military forces which I like because it was the main source that the war lasted so long. The military part of the article shows that the Civil war has not only separated the political parties/leaders but overall it created huge gap between the citizens. Like how she talks about the Nepal army not accepting the Ex-Maoist fighters to be a part of army. As both of the troops are equally trained yet there is a huge gap between the fighters. It has created a difficult situation for them to reconcile everything and work together. The article reflects that Nepal is divided amongst its own people. Talking about India was another eye catching part of the article. For most cases many tend to believe that all the major political movements are backed up by India. And the article mentioning about India has just hit the right target for discussion. Though it points out that India supported the Nepalese government, it is a very controversial topic itself and I wouldn’t agree with all of it. As many believe India was the breeder for the Maoist groups, where as some believe they helped the government. The matters now go beyond the national boundaries as always connected to India. And I agree to most of the connection being done because India really does have huge impact on Nepal, as they say if India sneeze’s Nepal catches cold. But for most part I like how India has been included in this discussion. It gives another perspective to look into. Over all she has done a great job, but I felt this article was lacking more on talking about the normal citizens besides the leaders, military forces and neighboring country. Half of the population doesn’t fall under any of these three categories. Including more viewpoints of the citizens rather than political leaders regarding the different parties would have been more fruitful. The other part which I thought could have been better is if she talked more about humanity. She talks about it in the last paragraph but would have been great if she would have inserted the questions about humanity in each new topic as everything about this war was related to humanity. She could have cut down more on military and the parties and focused a little more on humanity area.